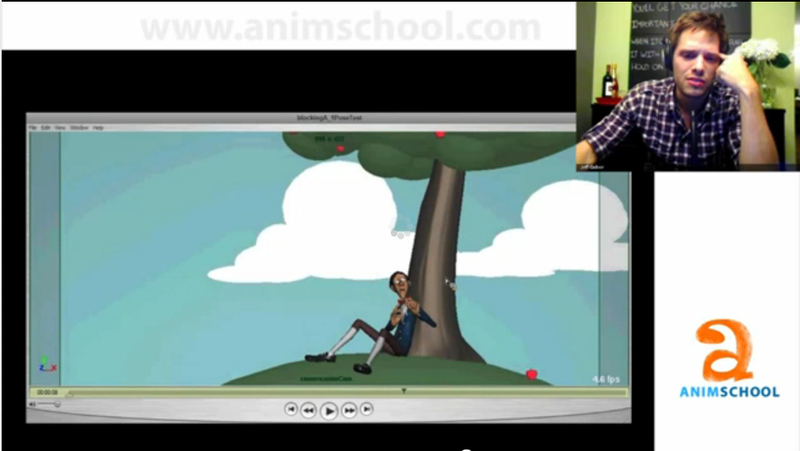 This time the topic is cliches in animation. I cover a couple key cliches to avoid and talk about ways to avoid cliches you don't even know are cliches. I hope this is helpful to you guys as always. CartoonBrew reported this afternoon that Glen Keane has resigned from Disney after 38 years. Glen was responsible for many of my favorite sequences and characters well before I ever knew who he was. From the time I was a child watching Ariel sing or Beast transform I knew that this was something I wanted to do for the rest of my life. For that I owe Mr. Keane a large dept of gratitude for helping me find my path in art. I wish him the best of luck as he moves on to explore animation. Click here for the original post and here for his wonderful resignation letter. Also please look through Youtube for some of his lectures and animation tests. There has been a large outcry and I wanted to link you to a couple other posts that have come up about this. Immersed in Movies offers a nice look into his challenge in the creation of Tangled (Rapunzel) and how he felt he never quite got his vision. There is also a podcast discussing it over at Magical Definition. Please feel free to links of blogs that I have missed. Keeping my work so that it dosent get static below the wrist is a challenge for me and I fight with getting great hand poses that are more then "just there." I came across a fantastic post over at "Flooby Nooby" that is jam packed with ideas and model sheets. Let me know if you know of other sites that have posted as well because I'm always interested. Over at "Spungella they have a blog of animation crits called "Workshop Animation Feedback." Go have a look and enjoy there great advise. 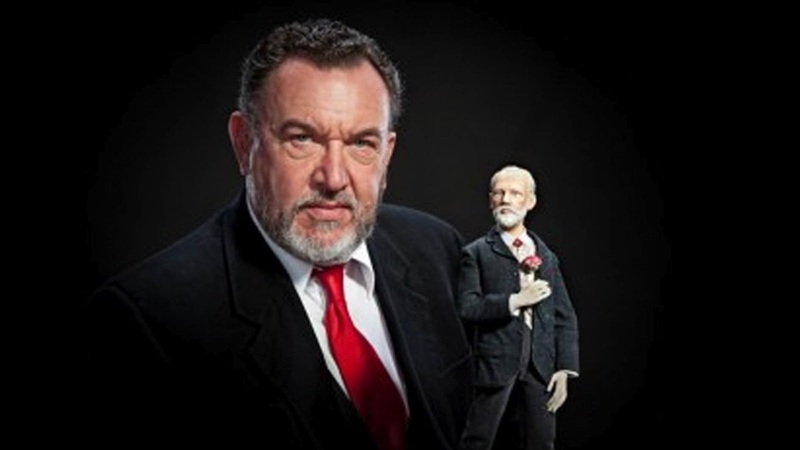 I wish to share with you an interview with Barry Purves, a leading stop motion animator whose list of credits range from children television classics Postman Pat and Wind in the Willows, to work on 3D feature films Mars Attack and King Kong (directed by Peter Jackson). I had the opportunity to sit-in on a Barry Purves lecture at UWE in 2008. It was an inspirational talk, that opened my eyes to chasing a career as an animator. Please click here to have a read of his interview with Skywigly (The Online Animation Magazine). Last week on the forums Rockstar Studios biggest fan, Abid Khan, posted a link to some great advice from the leading games studio. Discussing what they look for in a potential employee, the Rockstar team give a talk which is well worth checking out. Please click the pic to view. For further advice on building a games reel, check out this classic advice from now Dreamworks animator Cameron Fielding. Enjoy! I been always a fan of the teachers at Animaton Mentor. Through watching many of the winner eCritiques, I have begun to spot and enjoy each mentors unique values and ideas about how to enhance a shot. I believe I have learned something new and different from each, helping to build and shape my workflow. With Kenny Roy's new production The Little Painter, we took the opportunity to discover more about his workflow and what animation means to him. Thank you and good luck for your production, Kenny! Before we begin talking about The Little Painter, I must ask you about the origins of Kenny's school of dancing? Ha! Very funny. :P Actually I REALLY enjoy dance. I roomed with a DJ when I was younger and would go to these clubs where the choreographers and dancers from Hollywood movies would hang out and dance. During that time I really got into hip hop, and maybe that improved my rhythm, I don’t know! I’m so out of practice I’m two left feet these days though. But I’m glad my dancing during the marathon was amusing! Please introduce Pierre's character to the community. Pierre is a very sweet, loveable, gentle soul who paints all day for the King but longs to fall in love. He’s a helpless romantic, a lover and not a fighter. In a lot of ways, Pierre’s character draws a lot on my childhood persona, when I was shy, awkward, and bullied. It’s every kind little boy’s dream that his artistic talents will one day be deemed more valuable than the popularity of the ‘cool kids’, perhaps part of this story comes from those latent feelings. I mean, I LITERALLY dreamed this story up, it probably contains a lot of hints from my subconscious. Between waking up with the idea to animating upon your 24 hour marathon, you spent a year of recording, designing and pre-production. Please talk a bit about some of the challenges your pre-production involved. So far all of the work done on the project has been extremely fun. There’s been design, modeling, some texturing, rigging of Pierre, the writing, recording, storyboarding and editing of the animatic also. The greatest challenge was coming up with the “look”, which I have affectionately dubbed “paint-o-vision”. It’s a CG look that you’ve never seen before, it’s totally unique. I can’t show it because I really think the look alone will go a long way towards helping the film break into festivals worldwide. It’s an extremely challenging look to develop because kind of how it works is I need to design the film in reverse. Everything builds up, so the last shot will dictate choices I can make in shots before. HA! I’m confusing myself now. Rest assured, you’re in for a totally new VISUAL experience with The Little Painter. You noted your admiration for Citizen Kane director, Orson Wells. Please talk a bit this influence. Are there any particular animators you admire? Performance really gets me, acting and such. And drawing ability really gets me too. I might be weird though, but nothing inspires me as much as literally RAW MOTION. And nobody is better at creating RAW MOTION that has energy in my opinion than Michel Gagne. His short film Prelude to Eden is my favorite short of all time, his work on Iron Giant was impeccable, but most recently his short Sensology actually brought me to tears. It is the perfect example of what I’m talking about – just movement that evokes a reaction. Glenn Keane understands this also, and he put it into Tarzan in full effect. Digging into your workflow, you spoke of the importance of keeping an animation journal. For those new to this approach, what advice would you give? The idea is simple – if you record the progress of your workflow, it will be easier to make it better and better. Only when we examine HOW we work can we change our techniques to match what we see in our heads. When you sit down with a task, and know exactly what it is going to look like and how long it will take you, THAT’S workflow. If you’ve never written down your workflow, you haven’t started taking it seriously. Production on your shot began by searching for golden poses to fit the narration of the scene. You mentioned the importance to battle to keep include them within the final animation. Please talk a bit about what you believe makes a good story pose. I tell my students that if you had one frame to tell the whole story, how would you pose your character? When we start getting into movement, we sacrifice those gorgeous iconic moments to make stuff “fit” together. Rather than sacrifice, I propose that we stay true to those moments and try our hardest to hit them. Strong silhouette, natural rhythm, and great staging make a pose shine for me. It’s always been to spend your time trying to make your timing work with these amazing poses, than have fluid animation that hits no amazing images. I love the way the paintbrush twirls as Pierre takes a bow. Can you talk a bit about adding these kinds of textures? You want to make sure you don’t add them too early. I believe I had two keys of “twirl” in stepped mode, and refining the twirling movement was one of the last things I added in blocking plus. I always say that you want to have at least two sizes, and two speeds going on at all times. If you animate everything to move the same size and the same speed, your audience will fall asleep. Once you commit to this idea of variety and texture in your scene, you never go back. There’s at least 3 or 4 sizes and speeds going on in the Pierre shot. I enjoyed the different beats used in Pierre's performance. His small curtsy at the end complemented Pierre's big theatrical bow. Please discuss how playing with different beats can help add depth to your shot. Well depth really is the key. You said it right, I played with the beats. You’ll find so much amazing animation hiding in the keys if you relax and just play with it. I found that on his grand gesture on “Bon Voyage” that he was starting to look like a fainting ballerina, or a wilting flower. I LOVED how the animation was talking to me, giving me feedback. It was really begging to be amped up a bit, so I made the wilting motion a bit bigger and last longer, which suddenly made the grand bow seem even more contrasting. Things just started to domino and before you know it the shot is animating itself. I recognized that the bow needed to be broken up so that’s where the big head tilt comes in the middle of that action, which is nice because it kind of references the final curtsy and prepares the eye to stay focused on the head. The last thing I wanted was the audience to be searching the frame for the focal point on that last moment, and the head tilt in the bow got the audience ready for watching the face. I think it worked well because you definitely can’t take your eyes off his face (and the little fancy eyebrows) on the last little nod he does. The happy accidents were plenty on this shot. Your workflow sheet details what you believe should be thought about at each step of production. A shot is only considered completed when you can see the decision made on each frame. Please expand upon this. Consider Maya to be this really bad animator that works at the same studio with you. Every time you set a key, this jerk named Maya comes by your desk, whisks your animation away from you, and gives it back with either linear, mechanical in betweens or with floaty, ridiculous timing. Defend your animation! Treat every frame as if it is going to be ruined by this person named Maya and you’ll start to see the difference between a shot that is “finished” and one that isn’t. If you examine the frame and think to yourself “Hmmm, Maya didn’t screw this up too bad…” then it means you are on the right track. When you can look at each frame and imagine that if your boss came by to look and you WOULDN’T be afraid to stand behind every single frame, then you’re pretty close to done. And like you phrased it in the question, when you can see the decision behind each frame, right down to the thought process, you’re finished. Returning to planning of the shot, the video reference clip produced for your marathon seemed relatively short. How much time do you usually spend testing ideas and acting out your scenes? I only uploaded about 5-10% of what I shot. Sometimes I feel like I nail it in the first take, other times longer. Normally about 15-20 minutes of footage. Improv helps a lot with shooting reference. You fly through all of the cliché and boring performance choices quicker if you have improve experience, since in Improv the goal is actually to get to the TRUTH. (Improv is acting in a theater with no script. The scenes are made up on the spot! Kenny did this throughout high school, college, and beyond). Here's a famous 11SC club question with a twist. Through production in the 24 hour marathon, talk about one or two things that enhanced or expanded on the ideas you had originally set out for your character/film. I fall a little bit more in love with Pierre the more time I spend with him. First, I think that I really discovered his style in this shot. I always had a kind of painterly movement style in mind for him, with broad arcs in the arms almost like brush strokes happening all the time. But when I stumbled upon the really dip into the knees on the line “Bon Voyage”, something just clicked. 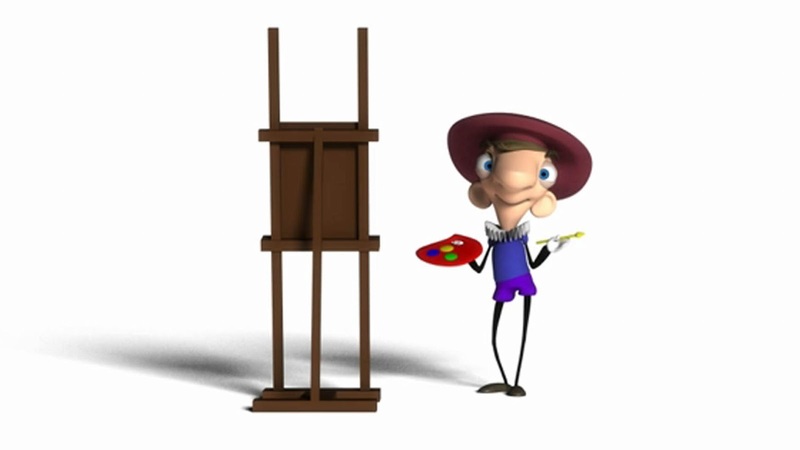 He’s such a passionate little guy that he actually moves his body as if he’s dancing to music when he paints. This will translate somewhat into all his lines. When he sees Princess Crème Brulee I can’t wait to see him go all wobbly knees. When he describes the Princess to the Prince I can’t wait to see him ‘paint a picture’ with his hands as he talks. It’s going to be such a blast. I have so many new ideas now that I’ve completed this shot. Later, you will be looking for other animators to help work upon your short film. It is encouraged to adapt your portfolio/show reel for the position. Please tell us about the qualities you will be looking in suitable applicants for your short film. I don’t want this to seem like a blatant advertising for KennyRoy.com, but anyone that animates on this project has to understand cartoony animation, and most people don’t until they see my two cartoony lectures. 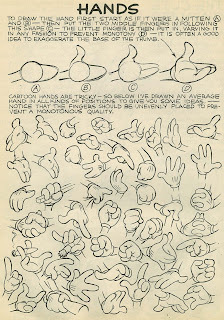 Cartoony is not a style that you approach like realistic animation, and just push and exaggerate everything. And it is not chaotic. 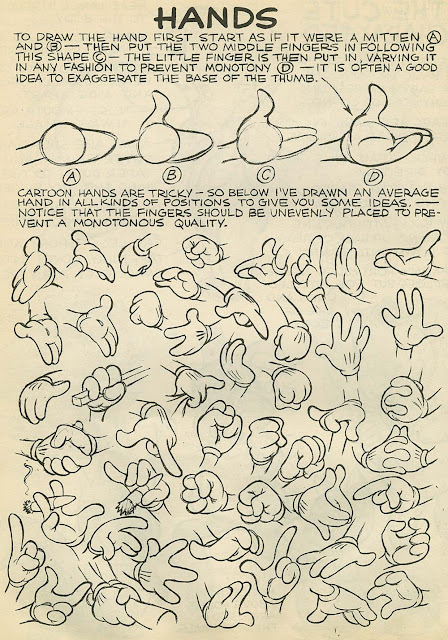 It is actually, in my opinion, a much more orderly approach to animation than hyper-realism. I will be looking for people who understand this order and who have a very intelligent approach to cartoony motion that will bring this world alive. So if you are interested, do some small cartoony tests in preparation! Despite being a very competitive industry, animation still brings together people who share a passion for storytelling. Please share your thoughts on this. Animation brings people together the same way that a baby brings families together. (I know I just had one! :P ) We all love this one thing so much, it’s impossible not to feel a strong kinship with the whole community. In addition, animation is simultaneously the broadest and yet most focused vocation in existence. You have to know a little bit about a LOT of things, while at the same time have techniques and skills that are so specific and refined that it takes the best of us dozens of years to master. The physical, mental, and emotional stress that it takes to master this art is a huge suffering, and humans become very tightly bound by commiserating. We’re in the trenches together, this is our battle; it is an artistic one, but nonetheless a battle. The kind of camaraderie we all share spans continents and backgrounds, it’s really the best industry I can imagine to be a part of. I love telling stories with people, and I’m so humbled and touched that the community wants to hear the story of The Little Painter. Hey guys, a little late posting this. Got linked to this fantastic Jeff Gabor lecture he did privately with the students at AnimSchool. It's the first part of a 2 hour demo. Please click here check it out! 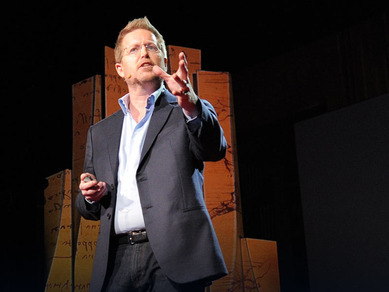 In this great presentation Andrew Stanton discuses his process in story telling and how he came to develop it. One of the main points I pulled from this is from his talking about Wall-e and Finding Nemo where he is talking about not revealling the whole story. He calls it "the unifying theory" saying "don't give them 4. Give them 2+2." I think it becomes more and more important no mater what story you are telling wether it's an 11 sec clip of a feature length film that as story tellers we don't spell everything out and allow for the viewer to "work for there meal." I hope you enjoy this as much as I did. Head over to http://www.kennyroy.com/ to watch his 24-Hour Animation Marathon. Kenny is animating a shot from his short film, The Little Painter. Happening right now, and finishes noon pst. Already seen some great tips about his workflow and am sure there are more to follow, so well worth checking out. The challenge is over now, but here's Kenny's animation after 24hrs of work! Great stuff and can't wait to see more. Visiting the website of Andrew Chesworth provided just the answer I was looking for. Just check out this collection of Railway works for his shortfilm The Brave Engineer. The challenge we lay down before you is to animate somebody using a hammer. Hammers come in many shapes and sizes, but each are designed with its own purpose. You could animate a war hammer, a blacksmith, a railway worker, maybe even a fair goer testing his strength at the high striker. 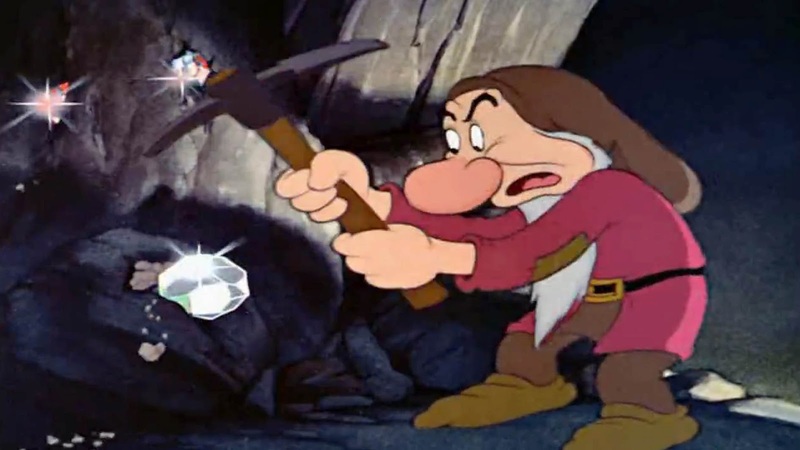 You could even animate one of the seven dwarfs, working a way at the mine. A past challenge was inspired by a clip of Sneezy the Dwarf, animated by Stina Boberg. We would love to see one of the other dwarf's come to life! 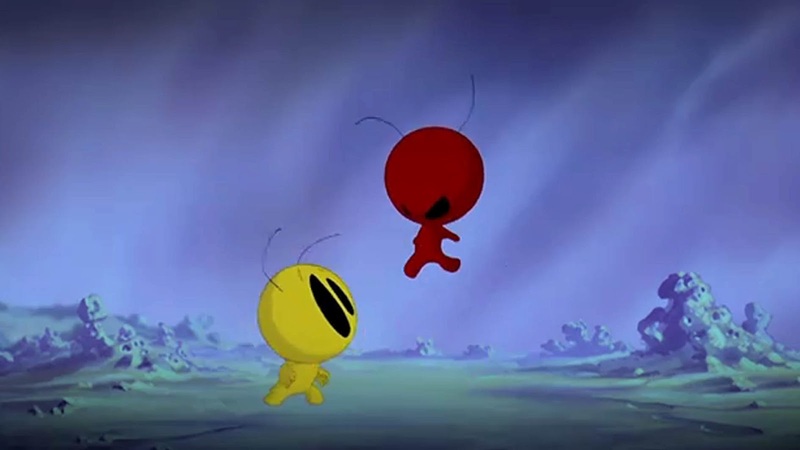 Please click the pic to watch a clip of Heigh Ho from Disney's Snow White and the Seven Dwarfs. As always the animation could be anywhere between 75-125 frames. If you have any questions about submission requirements, please check How-to-participate section for more details. Deadline is Monday 19th March. 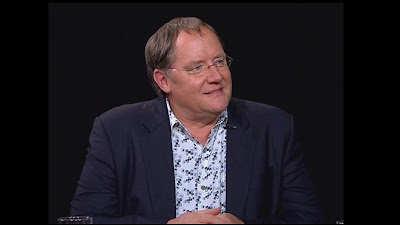 Charlie Rose's interview with Pixar's John Lasseter is a few months old, but only recently came to my attention. An intriguing interview that discusses Pixar's beginnings including the influence of Steve Jobs, together with John's views on the studios past, present and future. To view please click the pic. Enjoy!